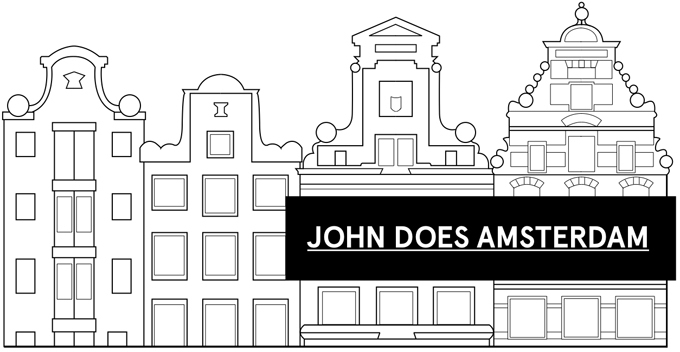 Today I cycled to Spui–a square in this fine city of Amsterdam; going through the Rijksmuseum’s tunnel for bicyclists, then passing Prinsengracht, Keizersgracht, and Herengracht, along the way. As the sun sparkled in a perfectly cloudless blue springtime sky, I let the wonderful weather pull me toward Athenaeum Nieuwscentrum–my favorite magazine shop in all the city. Every Friday at Spui there is a book market, which is composed of about 20 stands set up by various antiquarians from around the city. It’s like a fabulous exhibition at a museum, except it’s outside, and the objects on display are able to be bought, and taken home with you. 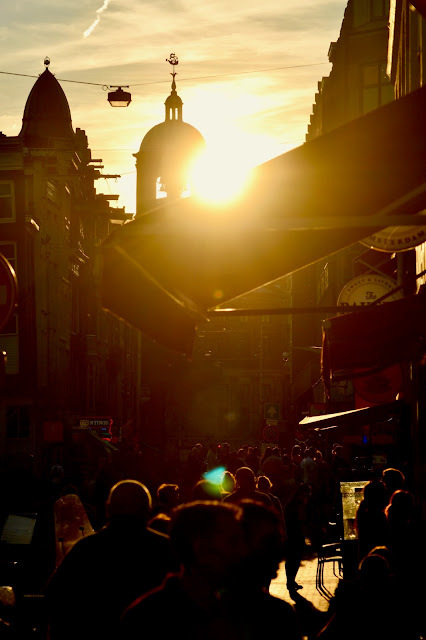 In 2014 I was floating through the same book market, as I waltzed from the former art history institute of the University of Amsterdam, on Herengracht, toward Rokin. 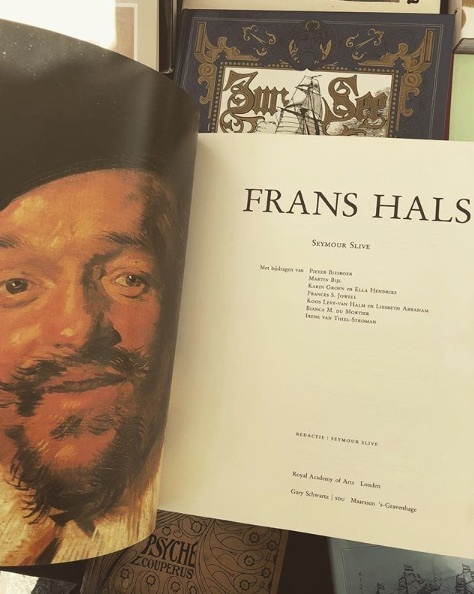 I happened to spot a book on Frans Hals, which turned out to be the 1989-1990 catalogue, of the last major Hals exhibition, which took place in Haarlem, Washington D.C., and London. I would have no idea that when I bought that book that day, it would lead me to writing two MA theses on this most celebrated of seventeenth century Dutch painters. 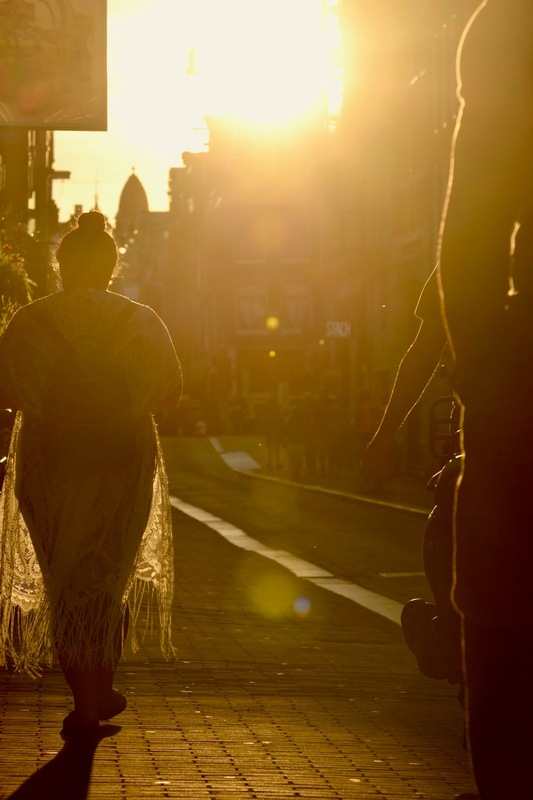 Walking through Amsterdam, as opposed to cycling through it, enables the experiencing of the city at a slower pace, literally. And because of that, new things are seen by the eye, that are not seen when passing the same places and spaces, on a bike. Today, while strolling through the same book market at Spui, I spotted the same book on Hals. In some ways I have come full circle from where I was when I first saw this book in 2014. When I found that book at Spui, and bought it, in 2014, I had no idea that it would lead me to spending the next four years of my life, contemplating Frans Hals within the framework of academia. Seeing that same book again for sale today, at the same book market, four years later, made me cement my decision to continue contemplating Hals, his paintings, and his fabulously mysterious family, for many years to come. So many Americans are blinded by what is happening to their country. Democratic norms are under attack. A large portion of the country is willing to accept everything that the current president of the country does, because those same people felt marginalized by the former president. They were challenged and threatened by him. After the election in November 2016, so many people, including those in my own family, suddenly burst out onto center stage, spewing speech filled with blatant disregard for civility of those who do not support their views. Speech that only a few days earlier would have never left their lips. That’s because suddenly, they felt empowered to speak their mind, without first thinking about what they were actually going to say. You’re gay?! Ew! You’re black?! Ew! You don’t like our new president?! Then move! And yeah, ew!! Acts of cruelty and micro-aggression are the result. So many of these same people think that those who still support Hillary Rodham Clinton are doing so out of so odd delusion that she will somehow be installed in the office once the current investigation into the US president and it campaign is over. That will not happen, even though I will admit it would be great. Perhaps it will happen. But more importantly, those who now feel empowered to spew their speech full of blatant micro-aggressions toward others (and, you know who you are, so be proud! ), should recognize that historically, these shifts in culture swing back to their prior place, every four to eight years. What these same people should also know is that, if the USA makes it through this very dark chapter in its history, that the current president won’t be the president forever. And as I wrote earlier this year: we saw and see you, we hear and heard you, and we’re not going to forget about this. One of the most tragic aspects of social media is that it makes everyone feel as if their own opinion needs to be broadcasted. It doesn’t need to be. Certainly if all it does is spew hate. But by doing so, it’s not as if the whole world will see your opinion. Very few, in actuality. Simultaneously, social media has created a culture, certainly at this very moment, in which those who scream the loudest and do it first are heard, even if what they have to say is uncivil. Many of these same people should take a good look at the US, from outside of it. Having grown up in the Midwest of the US, it’s very difficult to know what the world outside the country is like, simply because the US is so gargantuan, and that because of that, people often never leave. The US was attacked last year and that attack continues today. Those who feel empowered by the current US president are not necessarily backing him. They’re backing themselves. Hence the bold empowerment to speak out, suddenly. One of the saddest aspects of social media, is that it encourages the primal, first level of reaction to any given situation–which is emotional. Thinking through emotions, such as enragement, require foresight. Foresight is not often awarded enough on social media. Hence why the propaganda campaign to help one US presidential candidate by a foreign adversary, actually worked. US citizens: do not take your way of life for granted. The freedom to choose, literally everything in your life, is literally at stake. Imagine a world in which the government makes every choice for you. That is actually possible in the future of the US. So many people in the US that I spoke to while there earlier this spring, wanted everything to be ok. They trusted and trust their governmental institutions. But don't be fooled; institutions are run by people. Laws are made by people. While some of the country’s citizens might feel empowered now, that won’t always be the case. But then again, US democratic norms are crumbling so fast, that the US just might be a dictatorship within a decade. The US is literally the only country in the world founded on the idea that everyone is created equal, has the right to practice any religion they choose, and the right to protest as they wish. When people earlier this year started to say to their fellow citizens, to stop protesting at the Women’s March, democracy took a small step backward. Never ever tell any fellow US citizen to stop exercising a constitutional right to peaceful protest. You are doing Putin’s bidding. The US elected a reality television star who is a professed sexual assaulter as president in 2016. Quickly get your act together, citizens of the US. The title of the world’s most powerful person is currently not the US president. That title is now up for grabs. Those who thought the US had lost its greatness and wanted to see it restored, are blind to this. And you know what else is suddenly up for grabs? Pussies everywhere. All thanks, to the those who voted the most shameful people in 21st century history into the office of US president. Stop with this cognitive dissonance about all these sexual offenders, predators, and pedophiles–who highly differ from those who engaged in consensual acts. So many people who did not vote, or did not vote for Hillary Rodham Clinton (and, it's far past time to give a shout out to all the 'Bernie or Bust' people… thank for letting your rigid pragmatism and protest votes swing the US far further than you had ever hoped… don’t let your pragmatism and desire to change the system sway your actions so far from the goals that you at first professed to achieve… you couldn’t be further from them now. Of, and don't forget, you were the targets of digital propaganda, to make you think that way) seems to think that those still supporting her, are only doing so out of being against the current US president. It is not. There was a new world emerging on 7 November 2016–one that would have connected us all to one another, binding us together rather than bonding us to outdated cultural roles (women wear dresses, cook, raise kids, etc…). And thankfully, that world is still in sight an even obtainable. Hence people like me, who still support Hillary; we have the foresight to keep working toward a world of compassion. Those like myself who still support Hillary Rodham Clinton, do so because we know that she may not have been the perfect president (but then again, she might have, and at this moment we do not know how se would have been), but she would have ushered the world onward toward its next, connected, digital, equality filled phase. The opposite has happened. The US, no longer even shakes Germany’s hand. These are dangerous global times. Those who support the current US president are blind to this. They are all too happy to celebrate the greatness of their country, blind to the fact it’s instead, quickly sliding into global irrelevancy. Get your act together, America. And get over hating Hillary Rodham Clinton. Have some foresight. 2020, 2024, 2028, 2032, 2036, 2040... my last US election will be somewhere around 2070-2095. I truly hope the democratic process as we knew it before 2016, then exists, just as I prepare to die. My past is slowly slipping away from me. Sometimes it hurts, as I look in the non-literal mirror and ponder my own memories. I am starting to have my own history. I’ll be 32 later this year, after all. 11 years ago, I found myself living in San Francisco, and it was the most wonderful summer of my entire life–up until that point. Every subsequent summer since 2006, has been even more exciting than the previous, within my own life history. I have such fond memories of living in Russian Hill in San Francisco, in 2006 and in 2007. I worked in SoMa, and could not have stumbled into a more exciting or welcoming place to work, when I was all of… 20 years old. Suddenly I found myself in San Francisco, free from everyone and everything I had ever known prior, and suddenly found myself as a temporary resident of that city–which I had twice visited before, in the 1990s and early-2000s. I would often leave my house in the mornings, stumble down the avenue to Mason Street, and, if approaching, hop on the next cable car, as it made its way toward me, coming up Russian Hill from North Beach. Often times I would eat fruit on the way to the studio; apples, most often. Sometimes bananas; but it was the apples that really made me feel cool, as I waltzed down the hills to Union Square, and then onward to SoMa, everyday. I loved passing the Prada store; that in NYC, by OMA, had only opened a few years earlier; same for the Prada shop in LA. They were so inspiring to me at that time, for reasons beyond the physical spaces they represented, and instead what they meant to me: the world at large, through the lens of fashion. Who knew that 11 years later–today–all I wear is waistcoats and blazers and brogues… when 11 years earlier, in 2006, I thought that I would, perhaps, be living in San Francisco in 2017, and still adhere to my then uniform for life: shorts, sneakers, and shirt; mainly anything that could be worn at the beach. How times have changed. As I recall my own memories from 2006, part of me weeps. Who would I have become had I stayed in that city? Recalling memories of rounding the crest of Powell Street, while riding the cable car southward toward Market Street; I can almost hear the skin of an apple breaking as I bite through its deep-red skin. I used to hang onto the rail on the outside edge of the car, and loved the feeling of the windows blowing over my face as I glided down Powell Street... It heightened the glamorousness of my experiences, to not actually sit inside the cable cars... how boring. No wind on the face. One hand on the rail; the other on my apple. I had never been an apple person before I moved to San Francisco. In fact, I have never even much cared for fruit. That changed that summer. The summer of 2006, for me, was a season of self-discovery and maturation; alone and in a new city (and completely ok with both of those aspects of my then life), I could not have been more excited to experience all that there was to offer in the city, just outside my front door. Most importantly: the beaches and parks, the cafés, the city’s art museums, and the exciting new buildings and interior spaces then rising in the city that I had previously only seen in magazines, and on the internet. I often miss the care-free person that I thought I was at that time. Yet I was also very much within the early stages of forming myself, and I should always remember that person, with a kind fondness. Looking back I often can’t believe how lucky I was to have fallen into a circle in that city that was full of supportive, caring people–who at that time, were living off salaries that allowed them to live in the Castro or even in SoMa, without working at one of the locally based technology companies, south of the city. Facebook had only been around for two years at that point–hard to fathom. Now that I remember, Twitter had just launched; no one, anywhere, had an iPhone. I miss those memories of myself from my time in San Francisco, mainly because I was so new to the world, in every single way. Oh how I have grown, since 2006. At the moment the sky is lighting in brilliant flashes of white, in all directions; I have never seen the sky do this before in Amsterdam. Never does it thunder and lightning here. It may thunder occasionally; though the lightning never seems to follow. That's changed tonight. The past few days in the city have been so hot, and tonight the heat was finally broken by light, and sometimes torrential rains. Truly, torrential. Horizontal lighting has been tentacling across the late night summer sky all evening; though with no thunder. I sit here watching; listening; feeling; absorbing. Suddenly: Boom! The first loud thunder of the night... It’s arrived, after hours of silence. Soundly huge, horizontal, lightning fills and illuminates the late-night summer sky, above Amsterdam.